There is an enthusiastic audience for high-performance coupes and convertibles that deliver superior handling, power and style. Two top models are the 2018 Porsche Cayman and the BMW M4. Each is a hoot-to-drive, with balanced rear-wheel-drive and a Teutonic heritage of technological excellence. If you test-drive both, we’re confident you’ll favor the Porsche Cayman as the superior vehicle. Cayman offers many safety features, including Lane Change Assist, Park Assist and Porsche Ceramic Composite Brakes. It also offers Adaptive Cruise Control with Porsche Active Safety, which uses radar to watch the upcoming 650 feet of road. If a slower vehicle is detected, the system will gently apply the brakes and slow your vehicle to match speed. It will even bring you to a stop if necessary. If a collision is possible, the system can provide all-out emergency braking. Once traffic clears, the vehicle will resume its original speed. The BMW offers some but not all of these features. The 2018 Porsche Cayman and Cayman S exhibit extraordinary stability and balance because of their mid-car engine location. This balance guarantees agile road handling and quick responses. Response is immediate, reacting instantaneously to your steering input. The Porsche 911 Turbo donates its extraordinary electromechanical steering to Cayman. The BMW M4 is a good performer but cannot deliver the same balance you get from the Cayman, due to M4’s front car engine location. Porsche Torque Vectoring is an important Cayman feature. It works together with the car’s anti-lock braking system and mechanical rear differential. The system applies the brakes while negotiating curves, thereby improving traction and agility. Porsche Active Suspension Management system is available to provide optimal ride and handling. M4 doesn’t offer these features. 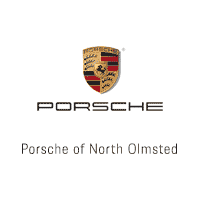 Porsche of North Olmsted invites you to stop and test-drive the 2018 Cayman and Cayman S. You’ll really love our excellent customer service and we look forward to seeing you soon.